Born at Great Lakes Naval Base in Illinois, Jody has had the opportunity to live in places such as Cuba, St. Croix USVI, Mississippi, Illinois, and Kenosha, Wisconsin, where he spent the teen years of his life in an 1800’s farmhouse that was, of course, haunted. At fourteen Jody first heard the story of Arizona’s “Lost Dutchman Mine,” sparking an interest in adventure, ghost towns, and lost treasure. Always prone to telling a good story, Jody now passes on the tradition to his children who will no doubt find their own treasure someday. Jody and his family live in the charming Linden Hills neighborhood of Minneapolis, Minnesota. His lastest book is the middle grade novel, The Treasure at Devil’s Hole. Connect with Jody on Twitter. Find out more about Jody at Goodreads. I moved around a bit when I was younger. We lived in Guantanamo Bay, Cuba, Illinois, but eventually settles into an old farm in Kenosha, Wisconsin. I’ve been writing as long as I can remember. I can’t actually recall a time in my childhood when I wasn’t writing. But, it was after reading Lloyd Alexander’s Prydain Chronicles that I decided I wanted to be a writer. That was in the 7th grade. My writing schedule is as flexible as it can get. I generally wake up around 4:00 AM, sometimes earlier, and write while everyone is asleep. I have a fifteen-month-old daughter, so I’ve set up a small desk in our living room, although once she sees me open my laptop she wants to pound the keys too. I’ve been known to write overnight while everyone sleeps, or anytime I can get a few minutes. It doesn’t always seem like it, but writing for 15-30 minutes several times a day adds up quickly. 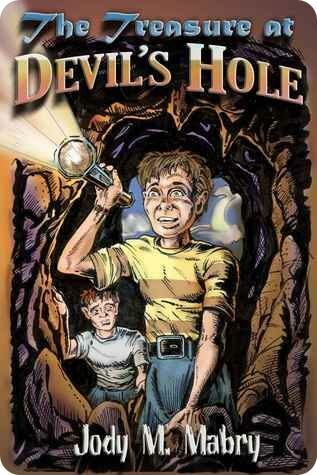 The short answer is that The Treasure at Devil’s Hole is about a young boy in search of treasure. Francis “Bug” Mosser is obsessed with a legendary outlaw treasure and elicits the help of his brothers and best friend to seek it out. What he finds in the end, is more than just the treasure. He finds love, small town shenanigans, bullies, a big family secret, and the notion that adventures never quite turn out the way you expected. I was inspired by a story my dad told me when I was younger. It was about him and his brother digging a well with dynamite. The Treasure at Devil’s Hole begins and ends with this story. The problem I had was that I was trying to tell the story of the well, which wasn’t exactly a book length story. It was when I began telling the story from a different character’s point of view that The Treasure at Devil’s came to be. My favorite character is Miss. Julia Brandon, the gun-toting teacher. I thought it would be fun having a young attractive teacher who was sweet and charming turn into a Bonnie and Clyde type of character. I never planned it, but as I wrote I thought it would be a fun twist. That being said, I was shocked that the main character Francis “Bug” Mosser was so popular. I’ve received several emails from middle graders who said he was one of their favorite characters in any book, or that they could relate to him. I was very surprised, especially considering he wasn’t my favorite character. The Treasure at Devil’s Hole is available on Amazon.com, or Jodymabry.com. It is also available in libraries and independent bookstores throughout the Midwest, South, and East Coast. I don’t, but in doing marketing research I’ve seen some great video trailers, so it may be an addition to my 2016 marketing campaigns. This is a good question for other writers. Most writers, in an effort to save money, try to market for free. This would include tweeting your book on Twitter dozens of times a day. We tend to take the volume marketing approach. This never worked for me. 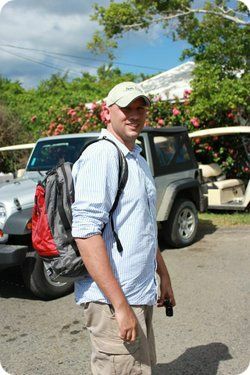 Blog tours, book giveaways, and any marketing that connected me with readers were the best investment. Giving away books for free has helped a lot. I have the opportunity to talk to someone about the book, connect with them, and in turn they talk about me and my books. It may sound silly, but for over a year I ran ad campaigns on Amazon.com knowing I’d likely lose money, and I did. I did it because the campaigns guaranteed me a couple dozen sales a week, both physical and eBook. While I was losing money my sales rank remained high enough that when I stopped the ads my book continued to sell for a few months. Now, I run a campaign for about three months of the year, and no longer lose money. This is a good example that in many cases you need to spend money to make sales. Well, dare I repeat the often repeated? The best advice is to write. Not only do you strengthen your skills, but much like pulp writers of the early 20th century, the more you write the more likely you are to sell. This was an early lesson I learned. After finishing The Treasure at Devil’s Hole I had hundreds of requests for a sequel. I had no idea that was coming. Had I had a sequel out within a couple months I would have nearly doubled sales that first year. I’m putting out several shorter books for middle graders The Ghosts of Jasmine Bogs and The Pirate’s Lighthouse, among others. The Strange Circus is a sequel to The Treasure at Devil’s Hole. This was unplanned, but I received so many emails from readers asking when the next book will be out, that I couldn’t help myself. Strange Circus is slated for June of this year. In November, Orphan Train, will be coming out which is independent from the other books. Then I plan on at least two books a year, with several shorter ones mixed in. 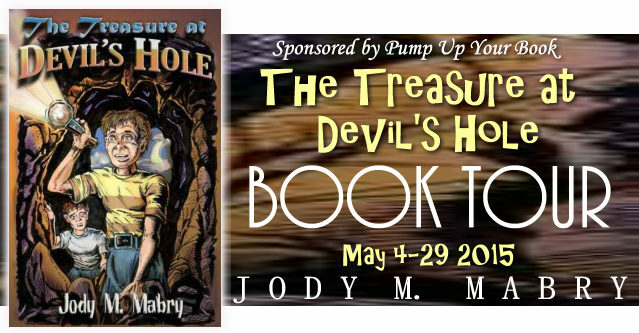 Pingback: TODAY’S GUEST BLOGGER~ JOHN M. MABRY~ THE TREASURE AT DEVIL’S HOLE…with #Review, #Middle Grade | My Book Addiction and More!